Disclosure: This is a sponsored post. I am a Kmart blogger, though all opinions are 100% my own. You just can’t deny it; the holiday season’s countdown is on its way! Although most of us don’t start our holiday shopping, decorating and then celebrating until after the Thanksgiving, there’s some holiday “needs” that you need to get done sooner rather than later (like before Halloween). First, put your big or small items on Layaway. Since most Layaway contracts are at around eight weeks long, this is the best time to shop now and then pay over time. You don’t want your wallet to undergo shock on November 29th, do you? We didn’t think so. 1.) The cat chewed your Christmas tree. Okay, perhaps you don’t have a cat, but last season’s Christmas tree is almost broken so you need a new tree this year. On the other hand, maybe you do have a cat so the days of using a real tree has ended. Either way, you need new decorating digs. Find your new pre-lit tree, wreaths, LED lights, and village houses now and pay them off just in time for decking those halls! 2.) Your gift list grew. Maybe you’ve got a new set of friends, have a new family member or you’re just feeling really generous this year. Long gift lists need Layaway. Fill your cart and send it to the Layaway counter. Your friends won’t know that you paid their presents off over time. 3.) Money is scarce this year. It is not just you as many people are also watching their expenses. If you’re having money troubles then Layaway is a must. It won’t just help you avoid “wallet shock” but will also give you pre-holiday peace of mind. Whether you have one or a hundred items, you can layaway almost everything on your list without paying any service fee through 11/23. Plus, you can also pay in the store, online or through your mobile phone. Depending on your contract, you can get your items eight to twelve weeks later! After you figured it out, you can just always Layaway @Kmart. Yay. 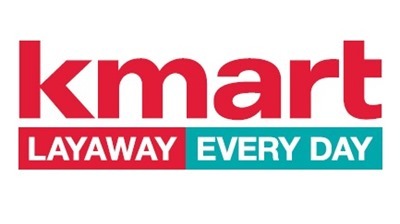 Heading to KMart tomorrow!